In a large frying pan on medium heat. Add Peppers- cook for 25 minutes or until melded together. Cool completely if you are going to blend in a blender . If you are going to use an emersion blender it is fine to do it when the soup is warm. but this is perfectly amazing without it. 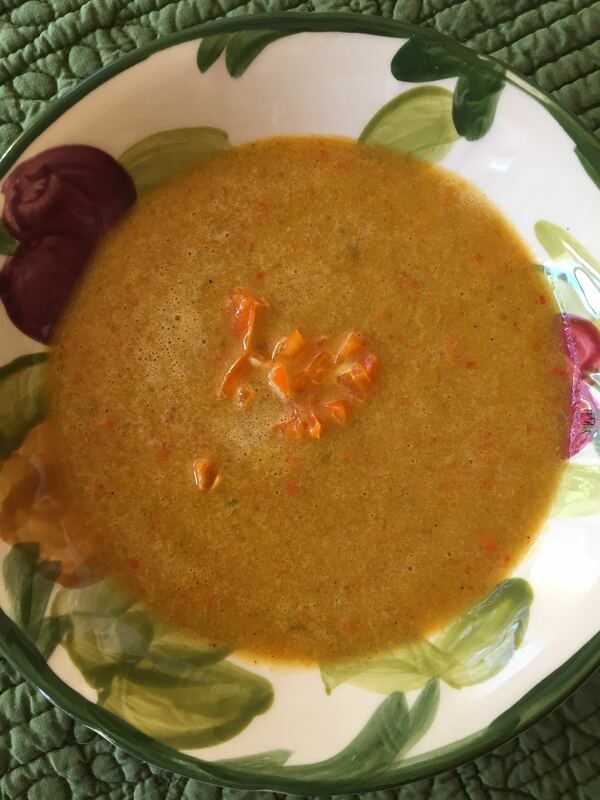 This entry was posted on Tuesday, February 10th, 2015 at 9:58 am	and tagged with bell pepper puree, bell pepper soup, gluten free, gluten free soup, pepper soup, red peppers, roasted pepper soup, soup, vegatable soup and posted in Category. You can follow any responses to this entry through the RSS 2.0 feed.